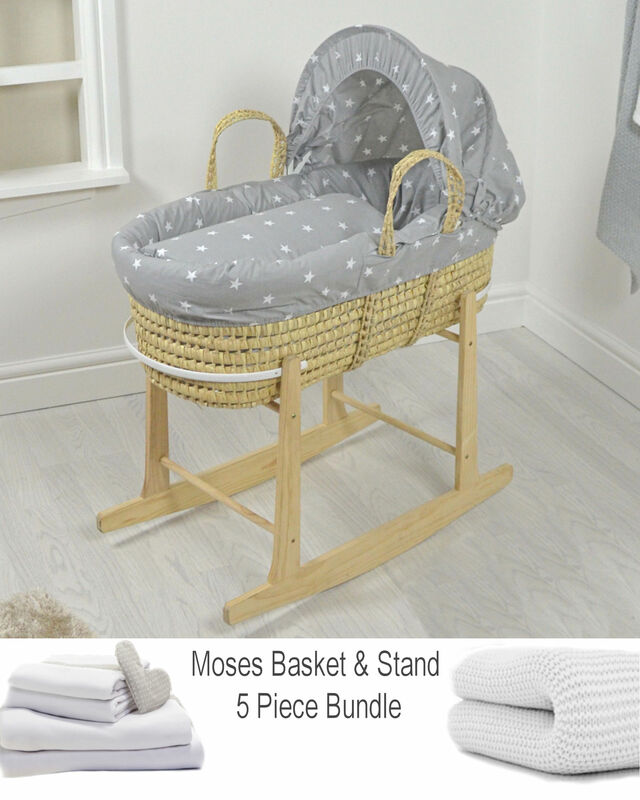 The 4baby 5 Piece Palm Moses Basket Bundle is perfect when starting out. The stylish 4baby palm moses basket is both crisp and fresh and is the perfect place to house your new arrival. Made with strong natural palm with handles, the 4baby moses basket is lightweight, easy to carry and comes complete with safety mattress, polycotton hood with a delicate trim and a padded quilt. The top quality pine rocking stand offers you a smooth rocking motion to calm and soothe baby and is both safe and sturdy to accommodate the moses basket. 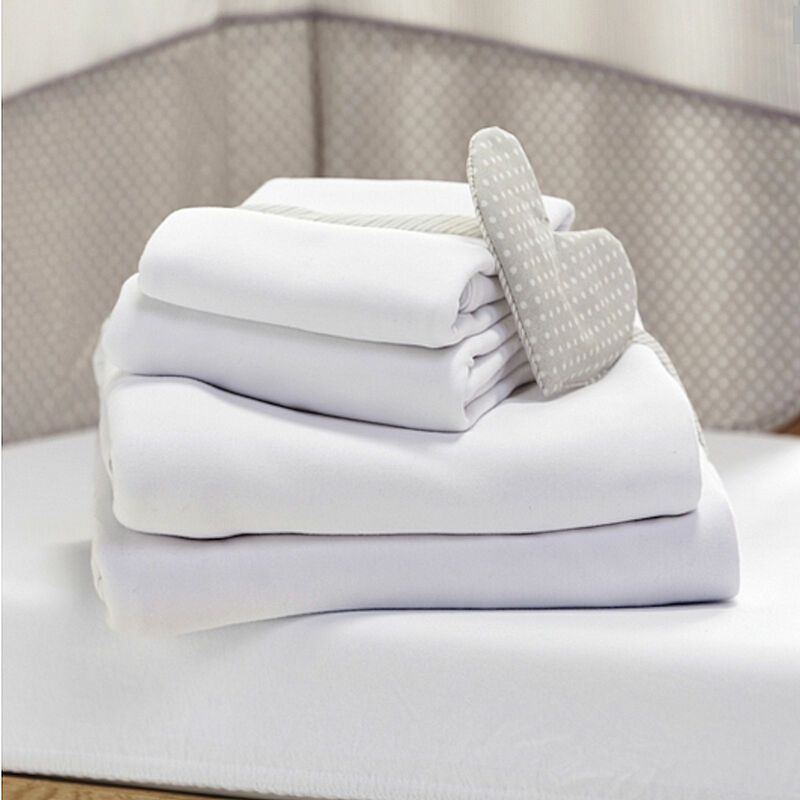 The 4Baby Jersey fitted sheets are made from soft organic cotton materials and incorporates an elasticated trim to ensure a snug and secure fit. The beautiful cellular pram / moses basket blanket is perfect for keeping your little one cosy during those all-important naps and can also be used in the pushchair. 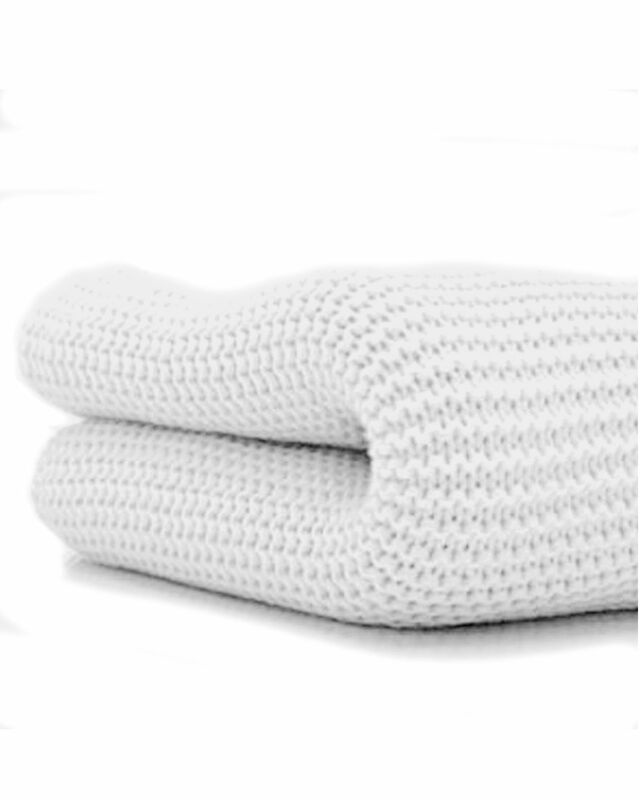 Made from 100% cotton this offers added comfort and helps maintain the perfect temperature for your child.